Gold denotes Alumni Association lifetime members. Submit your own class notes for the next issue of FIU Magazine here. Patrick “Chip” Cassidy ’75, a professor in the School of Hospitality & Tourism Management, received the 2014 FIU President’s Council Worlds Ahead Award. Joseph Haj ’84 received the 2014 Zelda Fichandler Award, which recognizes an outstanding director or choreographer who is transforming the regional arts landscape, from the Stage Directors and Choreographers Society. Charles A. Garavaglia MA ’91 was elected chairman of the City of Miami’s planning, zoning and appeals board. Evelyn Pacino Sanguinetti ’93 ran on the Republican ticket in November and was elected lieutenant governor of Illinois. The Hialeah-raised daughter of Cuban and Ecuadorian parents majored in piano performance at FIU before going on to law school and positions as an assistant district attorney and a councilwoman in the Chicago suburb where she currently lives with her husband and three children. Elena M. Dieppa ’94 recently sold a portion of her company, Clear Sky Property Management, and joined Boutique Hospitality Management, which manages properties in Miami, Atlanta and Panama. She is currently engaged and will marry Alexander Puga on Feb. 5, 2015. Eugene Butler Jr. MA ‘95 was recently promoted from interim executive director for Exceptional Education and director for Middle Schools to the assistant superintendent for Student Services in the Tucson Unified School District in Tucson, Ariz.
Ana Maria Rodriguez ’99 was recently re-elected to the City of Doral Council for a second four-year term. 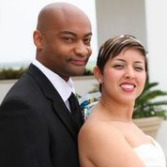 Chi Ali ’00 and Veronica Trujillo were married July 19, 2014, in Galveston, Texas, and later celebrated in the Caribbean. Richard LaBarbera ’02 and Jillian Mayer’07 received the 2014 South Florida Cultural Consortium Fellowship. Roxanne Molina ’00, MA ’06, Ph.D. ’12 was recently recognized as an Emerging Leader by PDK International, a global association of education professionals. Catherine Poindujour ’05 was recently awarded an educational specialist degree in school psychology from Philadelphia College of Osteopathic Medicine. Carolina Sarassa ’05 is a three-time Emmy award- and a four-time National Gabriel award-winning news anchor and correspondent for MundoFOX National Network News in Los Angeles. Prior to joining that organization, she was the anchor and producer for Univision’s KINC in Las Vegas and a correspondent for the news-magazine show Primer Impacto and, before that, anchored and reported for Univision KORO in Texas. Sarassa has served on the board of governors for the Academy of Television Arts and Sciences and is currently a board member for the LA Press Club. Adding to her list of accomplishments, Sarassa in April will see the publication of “Dancing on her Grave,” the true story of the brutal murder of a college-educated Las Vegas showgirl, a crime that shocked and riveted the public. Sarassa co-authored the book, which recounts the months of investigation that led to the apprehension of a suspect and his subsequent trial and life imprisonment. Randy Mora ’06 was recently appointed Town Attorney for Kenneth City in Pinellas County, Fla.
Fabienne Kellerhals-Perez ’07 and Armando Perez welcomed their first daughter, Camilla Julia, on March 8, 2014. Jacklyn Meyer ’08, MS ’10, and Arthur “AJ” Meyer ’09, MS ’11, welcomed their little Panther, son Greyson Parker Meyer, on Nov. 6, 2014. Esther Colombo-Cruz MA ’08 recently showcased several of her paintings in an exhibition at the Museo Rosa Galisteo in Sante Fe, Argentina. President Rosenberg has also selected her artwork for display in the Reagan Presidential House beginning in November. Sarah Bartels ’10 is currently working as a producer and casting director for a short film called Two Secrets. This is her first major film project since graduating from FIU. Jenise Fernandez ’10 recently accepted a reporter position as a member of the local Channel 10 (WPLG) news team. Her previous experience includes working as an assignment reporter for KATC-TV 3 in Lafayette, La., and WEAR-TV in Pensacola, Fla.
Christi Fraga ’10 is the current vice mayor of Doral and youngest councilwoman in the city’s history. She was also recently appointed to the 2014-2015 Miami-Dade County League of Cities Board of Directors where she will focus on efficient government administration across municipalities. Brian Ortiz ’11 was recently awarded the Ring of Honor from Pepsi, the company’s highest award for employee recognition. Jose Pagliery ’11, a technology writer for CCNMoney, published his first book, Bitcoin and the Future of Money, about the currency’s mysterious beginnings, its dark side and its economic impact. Rachel Fernandez ’12 and Emilio A. Urgell ’11 were married on Dec. 7, 2013, at the Coconut Palm Inn in Tavernier, Fla.